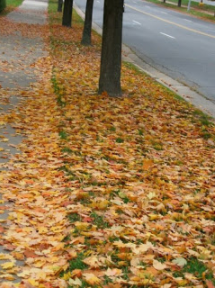 Remove leaves or shall we say rake them as they fall! Removing leaves ensures that plants covered can receive enough water and light! Plus no pesky insects can live there and damage your trees.